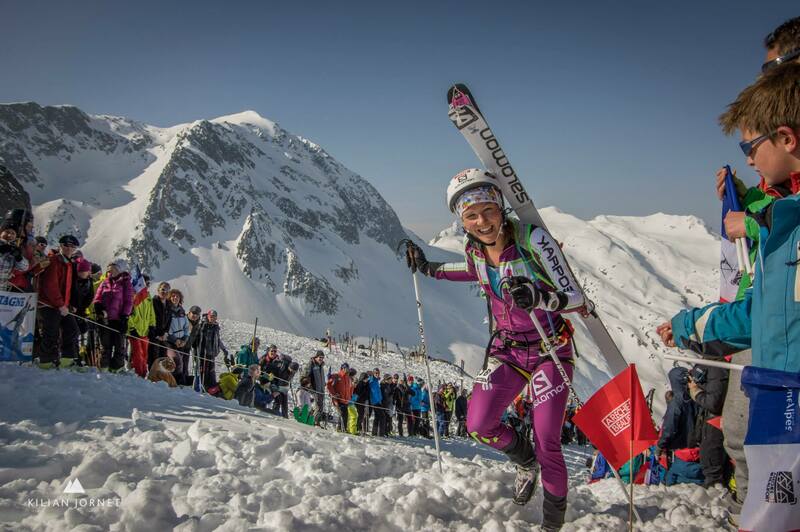 On Friday morning the European Championship in Ski mountaineering begun. The conditions were perfect for the race, sun and powder. After a good start for me in the World cup and with a good shape I was eager to give it all. With good feelings in the first uphill I felt confident. In the end of the first downhill a racer skied on the back of my skies, and with that light touch I lost control and tumbled out in the deep powder snow. Frustrated I started to crawl up. I felt something strange in my right knee but decided to try to get to the transition point. I couldn’t put any weight on my right leg so it was difficult to skejt. There I started to understand that something was not right. I continued anyway, but in those few minutes I heard so many voices in me telling me I shouldn’t. So I stopped and went immediately to the race doctor. I got my hopes up when my knee did not swell so much and the pain was not unbearable (but it so difficult to know when the pain is too much, no? It can always be worse?!). Immediately I got a time for an MRI and another examination at a specialist in Martingy. He thought the cruciate ligaments were ok as he controlled different movements, but an MRI would show much more. I started to feel confident and relief when 2 different doctors told me it was almost sure it could not be the cruciate ligaments. A meniscus operation is small so that would be easy to recover from. When the MRI was over and we looked at the pictures I almost could´nt understand what they told me. The cruciate ligament was broken. All my hope disappeared. I felt like the floor disappeared under me. What does this mean? How long will it take? Shall I make an operation or not? 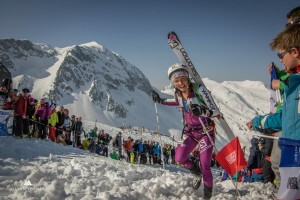 Will I ever get back to running and skiing confident? So many questions, not any answer. Being a professional athlete demands that we give everything. Training racing recovering, this is what matters for us. We need to live in this little bubble to be able to do our best everyday all year around. So when something disturbs this for sure it´s like heaven falls down. It was dark and I cried my heart out. I was frustrated, scared, disappointed, heartbroken, sad and all at the same time my brain worked frantically with different options and scenarios. I think that it is important to feel nothing but sadness. For a while. But it is even more important to break out from the darkness and to search that tiny little light. It might not be what we planned but we need to adapt to the situation. If we can´t aloud ourselves to be sad and disappointed it is like nothing matters. Even though in the whole wide world it means nothing. But right here and now, for me it was everything that matter. I will aloud myself to feel sad for a little more time until I feel it´s time to just look forward. I feel it´s coming soon, the brighter time. As soon as the inflammation has settled I´ll make a new MRI and after that we´ll take a decision. And reading all your comments and messages warms my heart and make me cry even more. So much love and support from all of you means so much. I will not give up. I will get back. So true. Love this, yet at the same time hate hearing about such an injury it’s an awful thing to happen. James Andrews – Birmingham Alabama, USA. Is the best doctor for this. See on the American football players he has fixed. Dear Emelie, you do not have to worry too much for the broken legament, because after surgery and a proper rehabilitation that will take 6 months your knee will be new. I know that for sure because I was operated too (by one of the best doctors in Italy, mr. Stefani) and now I can do everything. Many athletes too have been operated because the break of the anterior knee legametes is so frequent. After surgery and rehabilitation the returned being as good as before. So relax and don’t worry that much. You just have to turn to the best knee surgeon in Europe and let them to do their job properly. Then go the one of the best physiotherapist in the area where you live and follow the rehabilitation properly. Of course you have to forget about racing in 2016, but I’m sure in 2017 you’ll be even stronger. Be confident and let your brain and body relax! So hard to read and explain what we feel in those situations, but you are such a happy girl, be sure that those brighter days will come back! I am sure you will see the “good part” in all this… Be strong and count with us! Take your time – be sad – and enjoy your way back!!! You are really strong and will overcome this injury. Try to be positive and take this as a chance to learn. meditation and yoga will bring peace to tour heart. You will come back stronger than ever but be patient. Emily we are with You… We’ll neve abandon You….specially in this moment!!! I Hope To See You Soon on high Mountains tops! You have always been an inspiration, even more so now than ever because of the heart and determination you show to come back stronger. I wish you nothing but the best in your time of healing. ? Courage, take time. We think about you. You will come back stronger. My thoughts are with you, I really hope you will recover soon and I wish you strength for those darks times. I really admire you and your approach of sports, you are an great inspiration for me…I wish you the best. Take time to recover, we´ll be where as well as the moutains, take care and u´ll be back stronger than ever. Thank u for all the inspiration, from Portugal with love. When you give 100% in training, give also 100% in recovery time. Yoga has helped me through this phase too – so just stay strong and believe in yourself. Big hugs from Germany. Love and healing. I hear about this option too late. Be sad the sun will shine again. It took a while for me too. Thanks for sharing your feelings. I felt exactly the same when it happened. Of course you will get back Emilie! Your testimony is very powerful, like you said you have to be sad to feel things, but your strength and determination to come back to what you love doing will take over and will push you forward and up again. All the very best, wishing you a safe and fast road to recovery. Så klart du kommer tillbaka. Du är min förebild och idol. Du är den jag föreställer mig att jag är när jag springer i bergen. Du kommer tillbaka, starkare än någonsin! Emelie! Du är fantastisk!! Jag har nyligen funnit glädjen i att springa då min kropp inte längre vill dansa på den nivå jag vill. Och du har med din glädje för att löpa länge och långt kommit att bli en stor inspirationskälla för mig. Vi är många som hejar på dig nu och önskar dig all lycka. Du verkar ju vara världens superkvinna, så vi får hoppas att dina superkrafter skonar dig med en snabb, men framför allt ordentlig läkning utan komplikationer. Heja heja dig! You will back stronger and faster than any time! Cros my fingers for Yours knee! Ets la millor, Emilie! Tornaràs forta com sempre! Molts d’ànims en la teva recuperació! ☺️?? Have faith ! Everything happens for a reason. Get well soon and heal well ! Go fighter!! Sometimes we need to take a step back to come back stronger ☺️ Resilience, patience and perseverance!! Your leg deserves the time off. Give it proper time to hear and it will pay you back for the rest of your life. It’s not the time to rush, and our respect for your efforts will not change. Take care, we’ll stay tuned for the moments you decide to share but in the mean-time – rest. Lovely Emelie, the most beautiful smile of world, you are a very hard girl, strong, an incredible athlete. You will back titanic, and you know, what does not kill us makes us stronger!!! That this situation is a small bump in the road, not to you to make a wall. Much encouragement and speedy recovery. Finaste Emelie! Krya på dig. Du kommer tillbaka, din kropp vill springa så den kommer se till att den får göra det, åka skidor också! Jag tror på dig. Stor kram!!! Emelie, you’re so full of joy and light. Please, don’t let this take that away from you. You’ll be back sooner than you think and stronger than ever. I am sure you WILL get back and we can’t wait for it. Best of luck with your decision and recovery. You are the best, a model for me and my 2 kids. For sure you will come back with a stronger mind. Hey Emelie, keep your smile even if life don’t want you to, you’ll be back soon and stronger ! I wish you patience and strength for the recovery process. Get well soon. Waiting for your come back. You’re such a great, positive person.. you’ll get through this! Best wishes from Germany… come back soon! 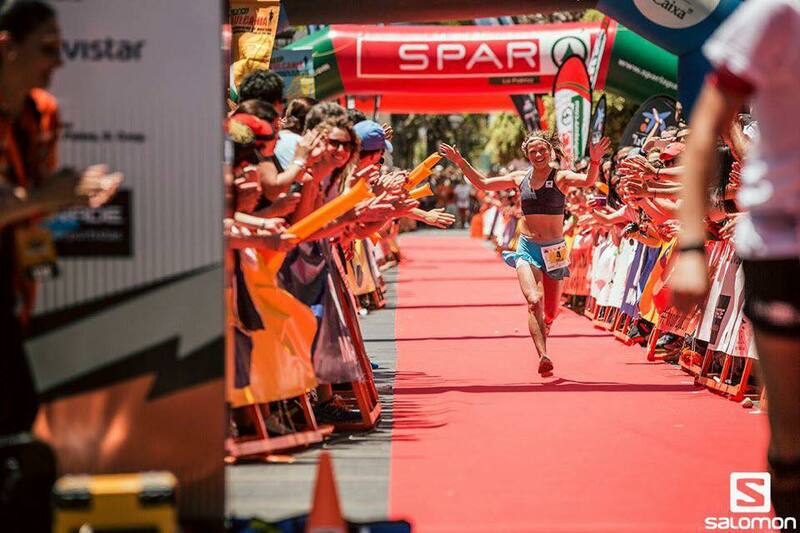 HI Emelie, it is always sad to see an injured athletes not only in body but also in his heart, we know you are big, strong and good company so you can have the best possible advice for better recovery. This not pass the difficult times but what will the happiness to see you or the trails or the slopes next season. in any case the island of Reunion is behind you to motivate you to quickly return to the top of your form. Really, really we wish you a very speedy recovery. Hey! I broked the cruciate ligaments of both knees, skiing (well the second time I tried to cath a tree branch to hang from it, I didn’t get it, so I went down on my left knee, auch! ;-)). And the best rehab for me was practicing yoga, not only because it’s a very effective way to win joint mobility, but for mind and emotions. Practicing yoga with grandmayoguis was the best experience I had during the process. I learn so much about myself, about patience, about how really important are small things in life. So, now, I can remember those periods with a smile. I’m sure in a few months you will be ready again for any challenge you want to do (and in yor bag will be more wisdom and knowledge about yourself and life. Sure ;-)). Wow, just read this entry. Hang in there! Hope your recovery is going well. Don’t worry and take the necessary time to come back!